How do you know if a conference was worth it? What can you expect from Content Marketing World 2019? Content Marketing World is the conference for the marketing/PR professional who develops the strategy or handles the execution of content marketing initiatives for their company or agency. This is the person that, in some way, develops or curates valuable, relevant and compelling content through one or multiple channels to attract and retain customers, to drive profitable customer action. If content marketing is in any way part of what you do, you will come away from Content Marketing World 2019 excited, inspired, and ready for action. No matter what role you play – from CEO to content creator and everyone between – this is the place to learn from the people who are not only succeeding at content marketing today, but can tell you how things will evolve tomorrow. 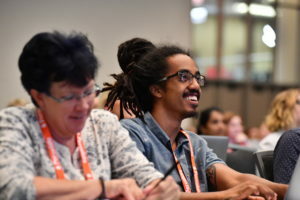 Q: Who should attend Content Marketing World 2019? No matter where you are on your content marketing journey – just starting out, in the thick of things and looking to optimize and maximize, or well-traveled and in need of new ideas – Content Marketing World has an 8-year track record of over-delivering on value. 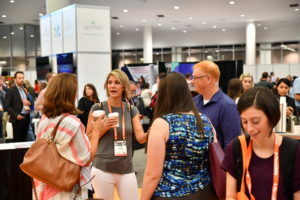 Our attendees always walk away with smart strategies, actionable tactics, eye-opening inspiration, and real connections with the people who are shaping the future of content marketing. We structure the event so that B2B companies, Consumer-Driven companies, Non-Profits/Associations, Small Businesses, and Agencies all get their own specialized sessions. Content Marketing World 2019 – Register today to ensure your content marketing is hitting the mark tomorrow. And don’t forget to check out the intensive workshops and the Industry-specific forums to maximize your time in Cleveland.